Four modern masterpieces are presented here in distinctive and engaging interpretations. The idea of “interpretation” may seem anathema to musical Modernism, as many 20th-century scores seem to require little more of their performers than faithful execution. But none of the works here is in that category, as is amply demonstrated by the differences of tone and approach between these recordings and most earlier versions. It’s a diverse collection, but Ensemble Epomeo applies similar criteria to each. The tone is elegant but focussed throughout. Tempos and articulations are quite strict, with few indulgences of rubato or portamento. Yet within these self-imposed interpretive limits a great deal of expression and variety is achieved. The title of Ken Woods’ excellent liner essay is “Reconciling the old and new”, and that dichotomy is apparent in the performances through continual balancing of Romantic expression and Modernist austerity. Every ensemble approaching these scores, especially the Schnittke and the Penderecki, has to work out that balance for themselves, but more often than not, this group seems to achieve the impossible by having it both ways. 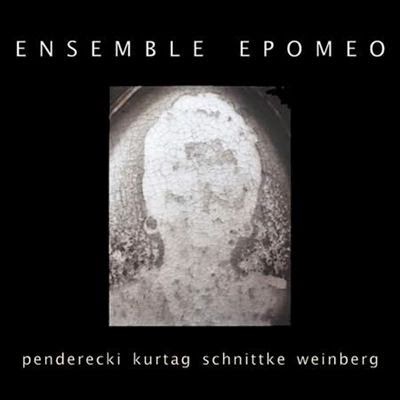 Ensemble Epomeo was founded in 2008 to perform the Schnittke String Trio, and the players’ close affinity with the work today is clear from every note of this recording. It’s not an easy piece, and it is rare to find a version on disc with the sheer level of technical accuracy of this one. The interpretive questions come down to the relationship between the work’s tight, and fairly conventional, structure and its inclusion of various stylistic references, specifically Viennese waltzes and Russian Orthodox chant. In this recording, structure and progression take the upper hand. The various styles are acknowledged, but never to the point of leading the music off course. Again, discipline is the watchword. The opening statement is delivered with a blank, emotionless tone (I was reminded of the opening Aria of Glenn Gould’s first Goldberg recording). There’s no portamento here, no expressive swells, and no attempt to make the music sound sentimental or distant – all of which we might expect from earlier recordings. Instead, these players make the opening the starting point on a journey, with the music and its expression becoming ever-more complex as the movement goes on. For all its sophisticated structuring, the work is also quite sectional, with juxtapositions of mood and style between successive phrases. But continuity is achieved here by moving seamlessly from one into another. That is partly achieved by avoiding gaps between phrases, but also by keeping down the louder dynamics. Those vicious tuttis retain their bite though, through the acerbic timbres that the players apply. 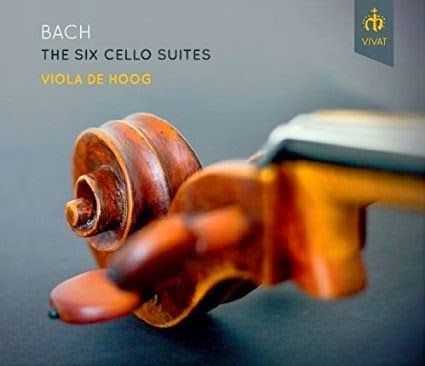 Although a little lacking in the sheer abandon that can make this music so compelling, another advantage is that the harmonic basis of these sections becomes clear. 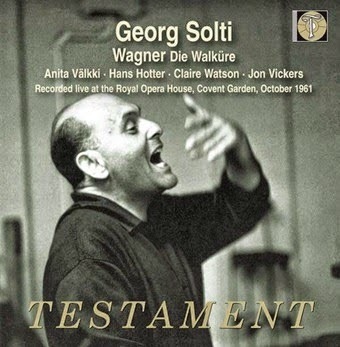 Schnittke usually superimposes diatonic triads to create his dissonances here, a principle demonstrated in this recording with unusual clarity. The Schnittke is the main work on this programme, but the other three are more than just fillers. Weinberg’s String Trio dates from 1950, difficult times, not only was Weinberg’s music then suppressed due to the Zhdanov decree of 1948, but it was also the era of the most intense repression of Jews in Soviet cultural life, which would culminate for the composer a few years later in arrest in connection with the “doctor’s plot”. But the Trio is wholly unapologetic, especially in its use of Jewish folk styles and klezmer. Ensemble Epomeo finds an ideal balance between the works structure and its many stylistic divergences. And again, clarity of tone and of interpretive focus elucidates the work’s structure and logic. There is also a sense that the players have half an eye on the overall programme of the disc as they perform this piece. It is the most stylistically conservative of the four, but by giving it a more modern edge, they fit it more logically between the Schnittke and the Kurtág. Kurtág’s Signs, Games and Messages, an ongoing project represented here as a series of seven short and aphoristic movements, perhaps comes closest to anything on the disc to the model of Modernist music that requires little interpretation. But even so, all those qualities of clarity of tone and intent are again brought to bear, and to impressive effect. Kurtág’s art relies heavily on expressive extremes, so Ensemble Epomeo expand their self-imposed dynamic constraints for him, especially for the louder outbursts, which have astonishing impact here. But there’s plenty of subtly too, for example in the ways that the sounds of open strings are contrasted to those of stopped strings, or in the curiously inverted or contrived balances he seeks in some of his harmonies. The work is given a clear-eyed interpretation, but that clarity never diminishes the sophistication of the music. A big surprise at the start of the Penderecki. His String Trio opens with three huge, dissonant chords, wrenched from the instruments with painful deliberation. Or that’s what usually happens – here the opening is played fast and at a moderate dynamic. The chords are there all right, but are presented as a casual opening gesture. Like the Schnittke, this piece sits on a borderline between different styles in its composer’s output. It was written in 1990-91, by which time Penderecki had long turned his back on the sonorist Modernism of the 50s and 60s and had seemed to settle into a more consonant and tonal idiom. But in the String Trio many aspects of his earlier self return, not least his fluency in dissonant discourse and his taste for expressive extremes. In fact, these aspects are somewhat superficial to a more tonal language and classical form, and it is these more traditional aspects that the present recording emphasises. Again, the players are reconciling new and old, although in this case the two terms are reversed, at least in terms of the composer’s artistic trajectory. As in the Schnittke, the result is impressive for the clarity of textures achieved and for the discipline applied to music that can elsewhere tend towards anarchy. Perhaps the control goes a little too far though, and it is surprising that, on this disc, the Penderecki sounds closer to the Weinberg than it does to the Schnittke. But again, the sheer individuality of this interpretation sets it apart. All four works are given compelling interpretations, often unusual but never to their detriment. The sound quality is very fine, finer than on any other recording of the Schnittke I know, the packaging is elegant, and the liner essay by Ken Woods is well worth a read. Recommended. Tailor-made concertos for piano and violin appear here in premiere recordings by the soloists who inspired them. There is certainly a synergy here, with the composer, Sergei Zhukov, responding to both the technique and the temperaments of his intended soloists, sisters Eleonora and Elvira Bekova, and the soloists, in turn, giving idiomatic and finely crafted performances. But the music itself is heavy going—populist perhaps, but in a furrow-browed, Slavic way—and demands much of the listener, not least sympathy for its high-minded artistic aims and a superhuman attention span. Zhukov (b. 1951) is a Ukrainian composer of Russian training. On the evidence of this recording, he is an eclectic musical thinker who is happy to steer his music into episodes of jazz or religious Minimalism, always confident that he can get back out again and return to his personal idiom. That basic style is Modernist, with some Expressionist outbursts at times, but usually quite consonant in its harmonies, the dissonances more diatonic than chromatic. While there is no tonal architecture here, some of the individual passages have a strong tonal identity, especially climaxes, which often fall back on film music clichés. The piano concerto is entitled “Silentium,” after a poem by Osip Mandelstam. The poem itself is recited by the pianist over some mood music near the end, a very direct gesture but one of questionable musical taste. The concerto is in five parts, each addressing in a different way the relationship between sound and silence. The 20 seconds of silence at the start of the first track isn’t tape leader, it’s part of the work. The music gradually emerges from the silence, and regularly returns to it as a point of repose. The violin concerto carries the title “Angel’s Day,” and explores themes of celestial transcendence as understood in the Christian, Jewish, and Muslim faiths. It too is a multifarious and semantically complex work, moving in and out of styles and moods, with everything given a feeling of earnest philosophical significance by the sheer symphonic scale of the proceedings. There are occasional quotations, or at least fleeting references, to earlier works. The liner identifies Prokofiev and Glinka, but I hear Wagner and Strauss too. But these evaporate almost as soon as they appear, leaving yet more questions unanswered for the uninitiated listener. The solo parts are adventurous and as stylistically diverse as the orchestral writing. They don’t sound particularly virtuosic, although that may be a result of the soloists’ proficiency. Zhukov creates some interesting relationships between soloist and ensemble, for example setting the piano against the percussion, or combining the orchestral strings with the violin soloist as a kind of halo around her ethereal lines. The performances are proficient, with the orchestras as atuned to Zhukov’s aesthetic as the soloists. Audio is reasonable, though a little recessed and not very involving. The piano in particular sounds distant and boxy, especially in the upper range, though it is difficult to tell if this the fault of the engineering or the instrument itself. Some audience noise in the violin concerto reveals this to be a live performance, though no recording information is given. It’s puerile and childish to lampoon the poorly translated liner texts, but I can’t resist. Violinist Eleonora Bekova is, we are told, “both eye and ear catching with an intriguing provenance.” Her being eye-catching is presumably the reason she gets the front cover to herself, but her intriguing provenance is not explained any further. In fact, the Bekova sisters are from Kazakhstan, but both play very much from within the Russian tradition: Both have a precise, emphatic technique, often delicate of tone, but never casual. The bio for violinist Elvira Bekova opens with an encomium from Aram Khachaturian, suggesting she’s no spring chicken. Khachaturian was impressed, though, with what he described as her “fiery temperament and virtuosity,” so too was David Oistrakh, who is quoted describing her sound as “unique,” though it is not clear if he meant that in a good way. Zhukov’s concertos are serious business, and for those with a taste for mainstream new music from Russia, there is much here to savor. Both works are long, each approaching 40 minutes, and neither attempts to justify that length through continuous invention. Instead, the sheer breadth of the music, with long, arching phrases built on repeating figures, accounts for the duration. Minimalist means to maximal ends. This review appears in Fanfare Magazine issue 38:3.